I was invited to a heart to heart (See what I did there) with one of showbiz’s sweethearts, Heart Evangelista; together with some of my fellow Beauty Bloggers and her biggest fans, we sat down and listened as she spilled her biggest skin care secrets and also, to get to know more about Palmolive Naturals White + Milk. Heart makes sure to eat healthy, exercise, keep a positive outlook in life, and most importantly, be religious with her skin care regimen. Nice to know how relatable her regimen is for all of us in the audience! Heart advised everyone to read labels, research ingredients, stick with products that are primarily made with natural ingredients, and opt for a mild formula; what I like is she advised that good skin care products don’t have to be expensive and I agree with her! What Heart loves about Palmolive Naturals White + Milk Soap and Body Wash is they’re mild to her skin keep her skin milky white and milky soft, plus it’s affordable! A good, long bath is one of Heart’s simple ways to de- stress before going to bed; Palmolive Naturals White + Milk Soap’s formula is infused with 100% natural milk protein, providing her skin with that much needed moisture to pamper it at the end of the day. Also, painting is one of the best ways for her to relax: if she can’t sleep and have so much going on in her mind, she wakes up even in the wee hours of the night to paint it off. The event was graced by Dra. Mara Evangelista, a dermatologist from PDS. Dra. Mara said an interesting fact and that is Asians have more sensitive skin than Caucasians just because we have thinner skin; well that’s why we need to carefully choose beauty products all the more! Since Heart has mentioned her love for Palmolive’s body care range a lot, let’s get to know more about Palmolive Naturals White + Milk. The soap’s formula is infused with 100% natural milk protein and helps whiten skin in 1 week, when used twice daily (based on mexameter instrumental reading). My personal favorite is the body wash because it’s so, so creamy and definitely gives me a pleasurable time in the shower, plus my skin feels soft after rinsing! Such a pleasure getting to know Heart more in this event; my fellow Beauty Bloggers and I enjoyed every bit of it! 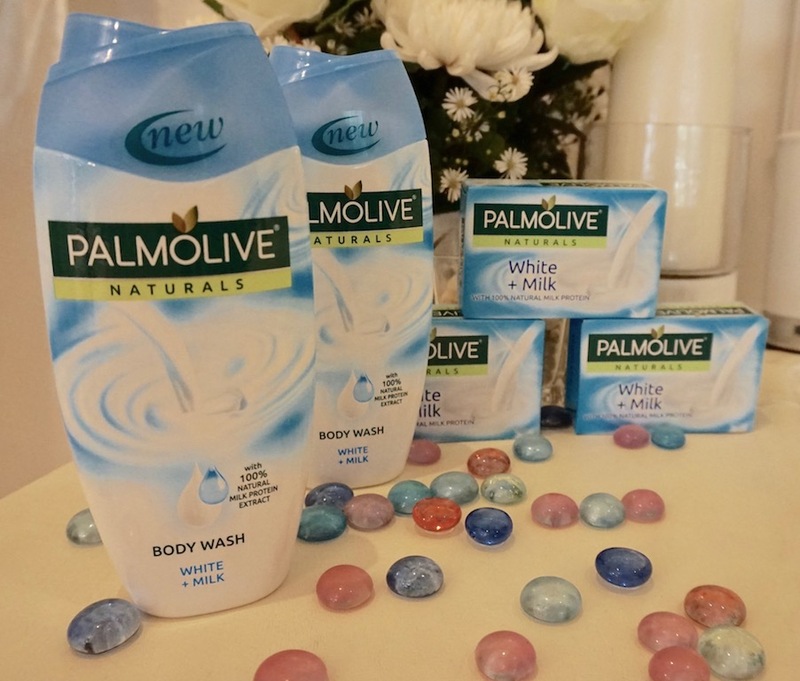 You can try Palmolive Naturals White + Milk at Lazada. Just click HERE. For more details about this product and the #IHeartPalmolive Facebook Live event, please visit PALMOLIVE NATURALS on www.facebook.com/PalmoliveNaturals. Ever since Palmolive came out with their body wash line last 2015 (if Im not mistaken), I see to it that I always have at least one (my fave is the Papaya variant). 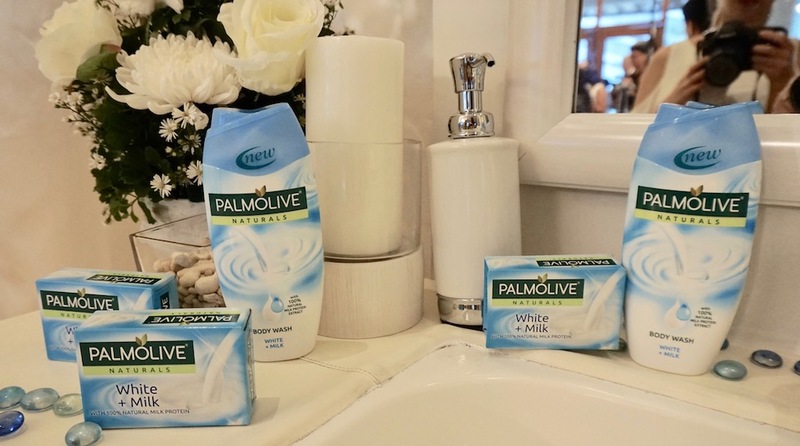 Their body wash makes you feel squeaky clean without drying your skin and this new Palmolive White+ milk will be in ny grocery list next week, that's for sure! I was getting into using body wash lately and trying out different brands especially those that are available here in our drugstores or supermarkets. Palmolive is a trusted brand here in our country. I love their soaps too as well as their shampoos. I would love to try this too. i love the scent of milk. I watched the live event of Palmolive, I was even chosen to get a gift pack from them hihihi. I guess they liked my question which I also asked to you as well, "What's the difference between taking milk orally with having it to your skin directly?" But I can't distinguish one from another because everyone's in white. Hahahahah. Is this more effective than Olay Skin Whitening Bar in Rose and Milk? I gonna buy this Palmolive Naturals White + Milk to see for myself. Thanks for this post Ms M.